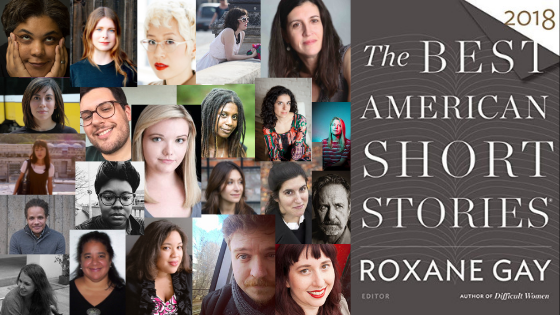 To read the Best American Short Stories annual anthology is to be exposed to an echo-chamber of contemporary American fiction; stories that span a variety of voices, styles and forms. This week, LUMINA Journal is in conversation with the writers of BASS 2018, so our readers can further familiarize themselves with the minds behind this project. Check out yesterday’s interview here. Curtis Sittenfeld is the best-selling author of five novels—Prep, The Man of My Dreams, American Wife, Sisterland, and Eligible—and one story collection, You Think It, I’ll Say It. Her books have been selected by The New York Times, Time, Entertainment Weekly, and People for their “Ten Best Books of the Year” lists. They’ve also been optioned for television and film and translated into thirty languages. Her short stories have appeared in The New Yorker, The Washington Post, and Esquire, and her nonfiction has appeared in The New York Times, Time, Vanity Fair, The Atlantic, Slate, and on This American Life. LUMINA Journal: It was very interesting to learn that you drew from your time on Twitter to create “The Prairie Wife.” Were you inspired by any real-world characters to develop the personas of Lucy, Kirsten, or Frank to make them unique individuals? Curtis Sittenfeld: I wouldn't say I was consciously influenced by any real people on Twitter. Twitter influenced the structure or premise of the story more than the characters. That is, if social media and the internet didn't exist, I don't think Kirsten could have sustained her own obsession so intensely. LJ: There is an underlying tone to this story teetering between obsession and a longing for love and affection – was this intended, or did it grow organically as you constructed “The Prairie Wife”? CS: Both – I mean, at some point, everything is intentional. I don't necessarily know how a story will turn out when I start writing it, but once I've finished a draft, its ingredients aren't a secret to me. Amy Silverberg is a writer and stand-up comedian based in Los Angeles. She’s currently a Doctoral Fellow in Fiction at the University of Southern California. Her writing has appeared in TriQuarterly, Los Angeles Review of Books, The Collagist, and elsewhere. She will be performing stand-up on season 6 of Hulu’s comedy showcase Coming to the Stage. She’s now at work on a collection of short stories and a novel. LUMINA Journal: At the end of “Suburbia!”, the main character finds herself to be much larger than her childhood home in a very literal way. This ending surprised me, and felt like a sudden change from realism to surrealism. Is genre something you consider when you are working? Amy Silverberg: I rarely write stories with outright magical or surreal elements. I do write stories in which the voice takes on a kind of strange, off-kilter quality – and maybe some surrealism or absurd events arise from that voice – but I can't remember ever writing a story before this one in which literal magic took place. I just tried to be open-minded in the writing of this story, and to really follow the voice and trust my instincts and see where it led. Also, I was in a workshop with Aimee Bender at the time, so I'm sure that influenced my willingness to experiment with magic! LJ: The home in the story is called "a pill to be swallowed or the head of a match." How do you see those two images? Is that pill medicinal or poisonous? AS: I think of the "pill to be swallowed" as an attitude about the future: it will arrive no matter what you do, and you just have to deal with it. I, for one, am anxious about the passage of time! I wish life would slow down, or that I had more hours in the day. I suppose I have a preoccupation with spending my time wisely before it runs out somehow. The "head of a match" was a reference to the protagonist's mother, and the way her red hair looked miniaturized. I don't know what that says about time exactly, other than its ability to change the size and shape of things in your mind. For example, time can make your mother seem small, as well as your childhood home, and all the things in it. LJ: “Suburbia!” jumps across time rather quickly for a relatively short story. Did it feel as quick to you writing as it did for me reading it? AS: The writing process during this story did feel a little unusual, though I'm not sure exactly why. I think I tried to give myself more freedom – be a bit more uninhibited – and follow the voice of the character wherever it led without any judgement. I suppose I always try to do that, but I don't always succeed. It did feel quick, and the writing of it was relatively quick. It kind of poured out. Normally, I'm sort of slow and painstaking; I choose every word carefully. Not as much with this story. I managed to cover a lot of ground (and time) without really realizing it until after I'd written it. Visit the Lumina Journal blog tomorrow to learn more about the BASS 2018 contributors! Interviews by LUMINA staff members Chris Rowland and Brynn Bogert.